In the Old Testament, God called his people to action with the blast of the shofar, a ram's horn. God still calls his people today. In this relevant and timely contemporary novel, dynamic young preacher Paul Hudson is committed to building his church, but at what cost? As Paul's zeal and ambition build, he loses sight of the One who called him. As Paul and those around him struggle to discern what it truly means to live out their faith, they must ultimately choose between their own will or God's plan. 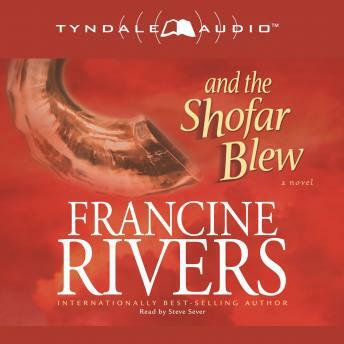 I don't read fiction very often, but I really enjoyed this one and hope to read more by Francine Rivers! This is an excellent story of the blessings and temptations involved in ministry. Every pastor and pastor's wife should read this and heed its warnings! The story itself is contemporary, realistic, and compelling (hard to stop listening to!). I knew it was a good story because I couldn't predict what was going to happen next! It was a relevant book for today, and really makes one think about the consequences of sin. Also, how important relationship is and not what or who a person is. Our relationship with the Lord is our first priority, and then all those other things will fit in place. Once we leave our Lord as our Number 1 priority--all kinds of "things'"can get us off track. Although it was kind of sad, it does end happily. I would reccommend this, especially in regard to our churches today. Excellent Christian novel which addresses real issues in the church today. As always Francine Rivers is an artist in character development. Not as light as the Christian Romance genre and well worth the read. Good narration makes it a must.